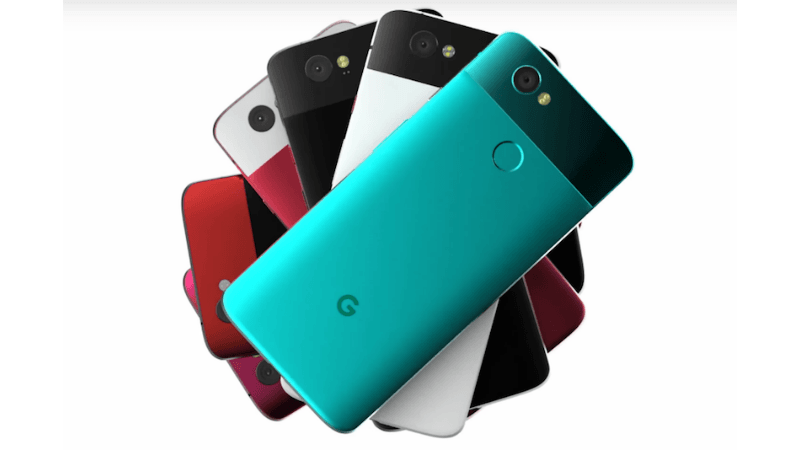 As the tradition goes like, Google launched its third generation Pixel phones — Pixel 3 and Pixel 3 XL last month. Previous rumours had suggested that this year Google could launch three Pixel phones, but so far that didn’t happen. But now, it looks like, the third and the cheapest Pixel phone of the year is in the making and will go official very soon. The affordable Pixel phone could be called the Pixel 3 Lite, at least that’s what the rumours reveal. Beginning this month some specs details of the Pixel 3 Lite were leaked, following which some pictures of the phone also surfaced online. Another picture of the Pixel 3 Lite has now been leaked online. The newly leaked picture is different from the previous ones. This is because in the new picture the alleged Pixel 3 Lite is seen placed next to the Pixel 3. It is important to note that Google is yet to confirm the Pixel 3 Lite officially; rumours, however, suggest that the phone is in its final stage of production and has been codenamed ‘Sargo’. A previously leaked teardown ARCore APK had revealed a different story altogether. The ARCore APK had revealed that the upcoming Pixel 3 Lite would be codenamed ‘Bonito’, but now the new leaks reveal that the phone will have a codename ‘Sargo’. Some previous reports also claimed that like Pixel 3, the Pixel 3 Lite would also come in two variants, but new reports now say that it won’t be the case and the phone will have only one variant. 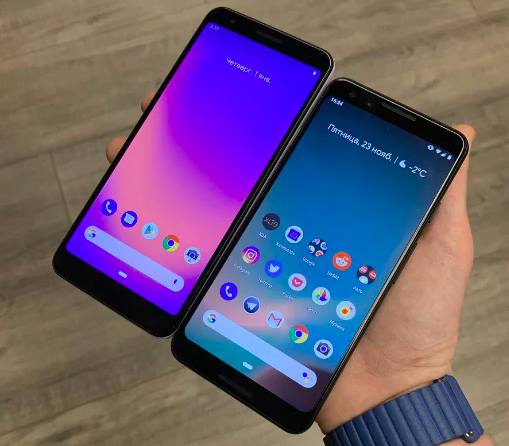 Going by the newly leaked picture of the Pixel 3 Lite placed next to the Pixel 3 looks like the phone will not come with a notched display and the bezels will be slightly thicker compared to the Pixel 3. Like the third generation Pixel phones, the upcoming Pixel 3 Lite is also expected to run Android Pie out-of-the-box. According to the latest image leaked by a Russian blogger who goes by the pseudonym kzkv on Twitter, the Pixel 3 Lite is likely to have a similar design scheme as the Pixel 2. As far as the specs are concerned, the Pixel 3 Lite is expected to come with a 5.56-inch Full HD+ IPS display with a resolution of 1080 x 2220 pixels and an 18.5:9 aspect ratio. On the hardware front, the Pixel 3 Lite is said to be powered by an octa-core Qualcomm Snapdragon 670 SoC, paired with Adreno 615 GPU, 4GB of RAM and 32GB of storage. Some other rumours suggest that the upcoming Pixel 3 Lite could also boost its power from Snapdragon 710 chipset. Meanwhile, the camera setup of the phone is expected to be same as the Pixel 3. The phone is said to sport a 12MP rear camera paired with an LED flash and an 8MP front camera. The phone is also rumoured to be backed by a 2915mAh battery along with Qualcomm’s Quick Charge 4+ support. The phone will retain the 3.5mm headphone jack and rear-mounted fingerprint sensor as well. The official price of the Pixel 3 Lite will be revealed by Google when the phone goes official. Rumours, however, suggest that the Pixel phone with codename Sargo will be priced somewhere between $400 and $500. This means that in India the phone could be priced between Rs 28,300 and Rs 35,400 approx. Fake …. why would Google launch a pixel lite device ? I like what I hear especially since I am keen on buying a smaller device after using large screen non-ergonomic devices and the 3.5mm headphone jack. I, however, would like a 64GB standard and not 32GB on this.